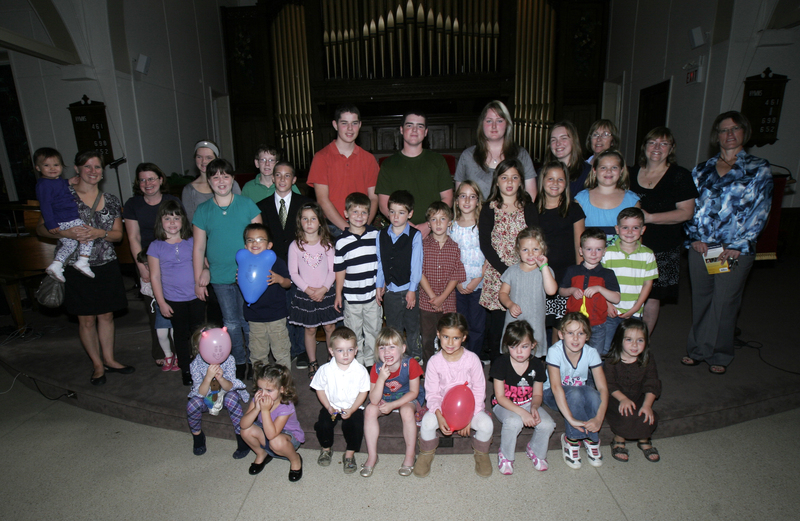 Children of all ages are welcome at St. John’s! We have a fully-supervised Nursery for infants to children age 3. Please feel free to leave your child in the capable hands of our nursery staff prior to, or at any point, during the service. 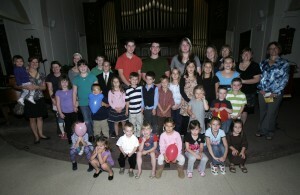 Older children, ages 4 – 12, will remain with their parents/guardians for the beginning of the service. During Children’s Time, all children will be encouraged to gather at the front of the church for a short message with Rev. Johnston. Children will then be excused to meet their Sunday School teachers at the back of the church. Classrooms are divided by school grade: K-1 (ages 3 – 6), Grade 2 – 5 (ages 7 – 11), and Grade 6 & up (age 12+). The 3-11 year olds follow a curriculum called “One Room Sunday School” and, indeed, it can be used to teach all the kids in this age group together if numbers allow. It is an interactive curriculum which includes music and group activities like games and crafts which help the children learn the stories of the Bible. This curriculum has been found to be very easy for teachers, even new ones, to use. We encourage anyone with an interest in children’s Christian development to join our group (students or teachers). Events of great excitement are also included in the Sunday School year: Rally Day in September, Christmas Pageants in December, Christian Family Sunday in May and the Church Picnic in June.